Are you living in a province or are you willing to work in a province outside Phnom Penh? 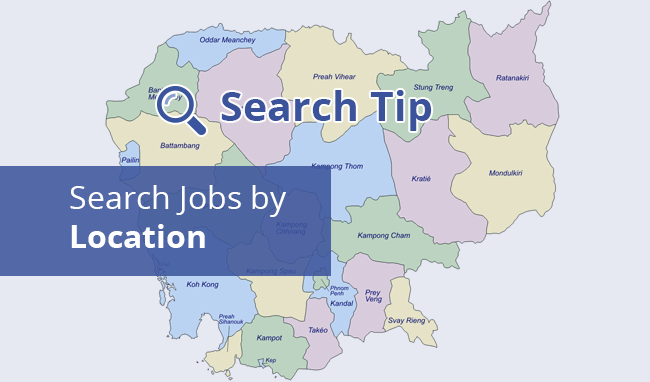 With Camhr.com, you can easily find the job's location that you are looking for. 1- First, go to Camhr Homepage and then click Location tab in Browse Jobs box. 2- Choose any location which you are looking for jobs. That's it! 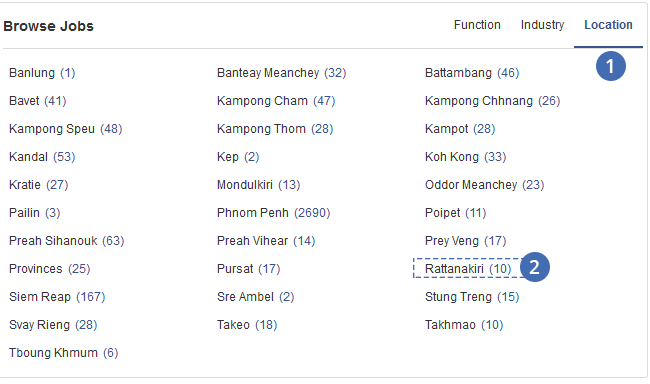 Example: I want to find jobs in Rattanakiri province, so i click on Rattanakiri (as above image). How to search for Internship Jobs. How to search for Part-time Jobs.